As we need to move our handwritten catalogue of collections into the cloud, it’s time for someone with a very clear, almost librarian mind, to volunteer their skills and to make sure all items are searchable and shareable with other collections. If that’s you, please come and visit for a while and create some greater order around the place. Thank you. 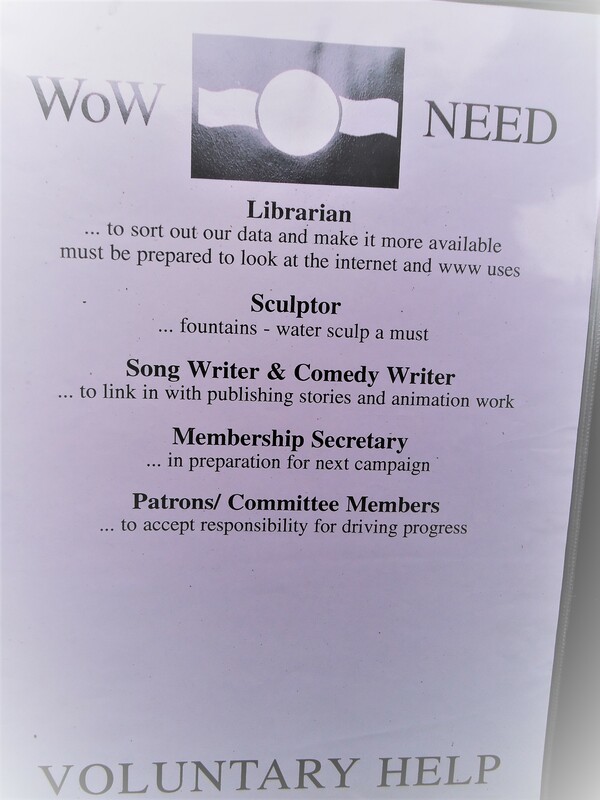 And if you happen to be a Song Writer, Comedy Writer, Membership Sec., Committee Member or Patron, let’s make waves together! We have four more pillars to carve in concrete and we want a sculpting enthusiast to make their mark at our Field Centre. Contact us as soon as you are available. Thank you.